Los Angeles is the home for the Hollywood stars and so this city would be in lime light for whole years. Every month or so some events would be arranged over here and some of these events are arranged every year. Some events has become world famous that are arranged in this city. LAX Van Rentals offers special rate for passenger van rental in LAX or Los Angeles area for Coachella Festival. Coachella Festival last two-weekend, three-day and held in Indio at Coachella Valley. The music festival includes rock, indie, hip hop, and electronic and many more. 2019 Coachella festival will be held on April 12, and 13 and again on April 18, 19, 20 and 21st. Tickets sold out in less than 3 hours. 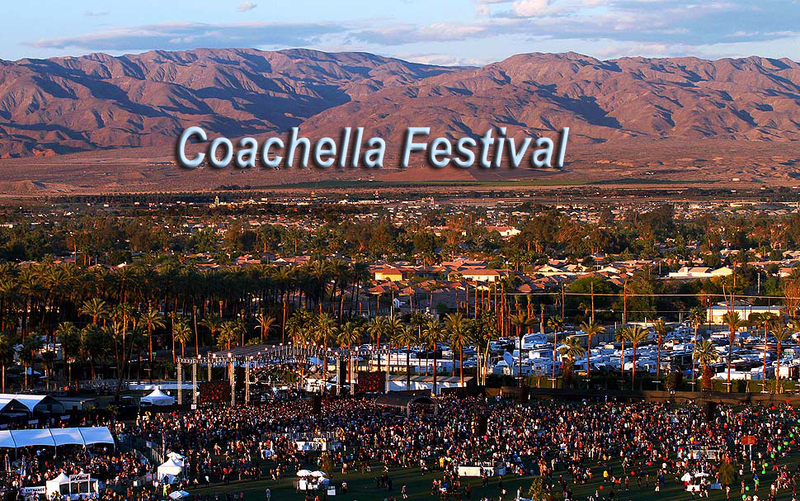 Rent a passenger van in LAX Van Rentals for all your Coachella Festival trip needs. Why rent many cars for Coachella festival commute. LAX Van Rentals is specialized in professional services for large group transport, whether you are with 7 individuals or more in Los Angeles airport LAX, we have the proper passenger van size you need at reasonable price that fits your budget. At LAX Van Rentals, we offer only full size 12 passenger vans and 15 passenger vans. Rent a van in Los Angeles for Coachella Festival through our website or make a complete reservation for lax van rentals online and you will receive an automatic 10% lax van rental discount. Contact LAX van rental today to reserve your family passenger van for your Los Angeles trip to Coachella or other outdoor event.